Superb performance allied to surprisingly daily usability. Feels genuinely exclusive and special. Barely any heavier than the coupe. Expensive. Long waiting list. Doesn't sound as good as an Audi R8 or Lamborghini Huracan. Difficult to get in and out. Superb performance, fantastic presence and a feeling of genuine exclusivity combine to make the open-topped McLaren 570S Spider one of the most desirable cars on sale at any price. 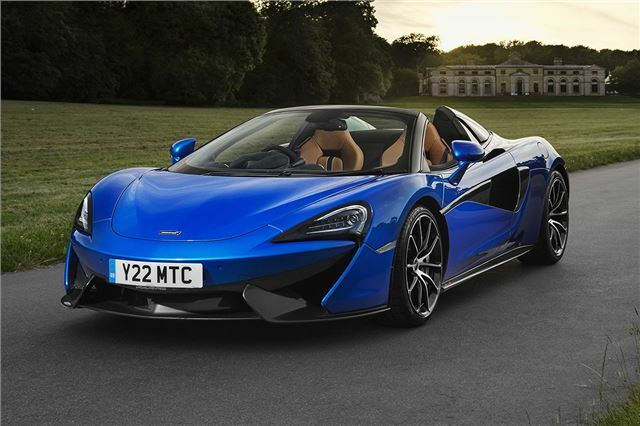 It’s a more exotic alternative to German performance rivals like the Audi R8 Spyder and Mercedes-AMG GT C Roadster – but there’s a long waiting list and at £160k it’s expensive - even compared to the competition. 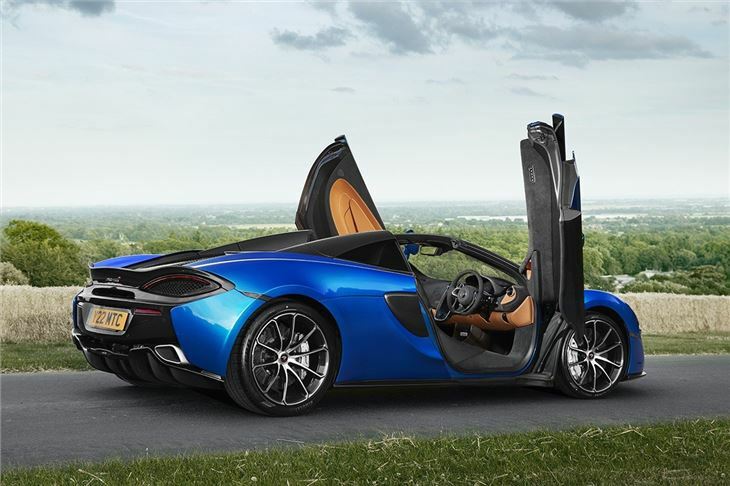 Folding the roof takes 15 seconds and is possible at speeds up to around 25mph. 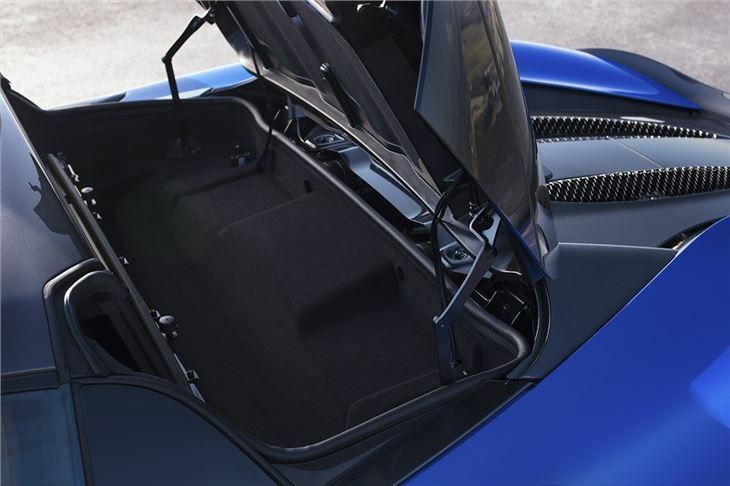 The open area of the roof is a little smaller than in a Porsche 911 Cabriolet or a Mercedes-AMG GT, but while it can feel a bit enclosed it’s still open enough to give that wind-in the hair experience, plus you can appreciate the engine sound all the more. 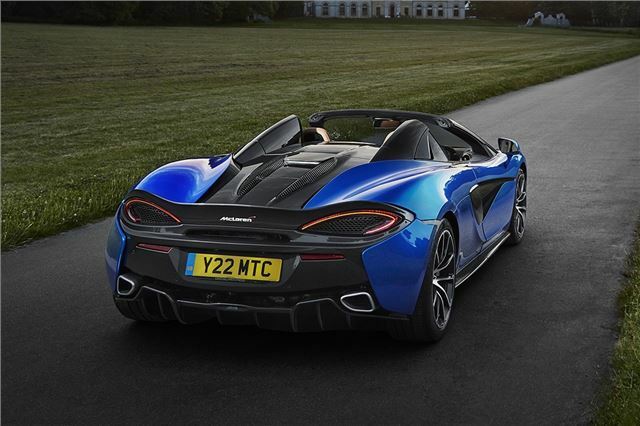 There is also a retractable rear window, so if it’s damp you can still get an earful of the V8. 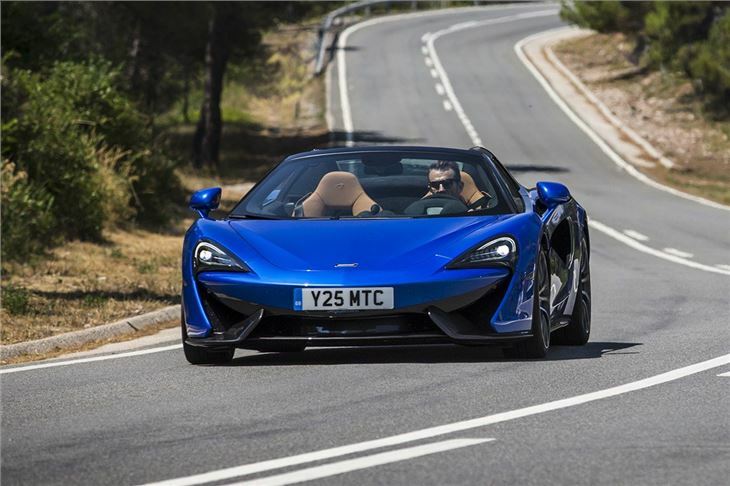 Sadly, sound is the weakest link with the 570S – while it does sound mean and purposeful it just doesn’t have the same aural charisma as the magnificent V10 engine in the Audi R8 Spyder. It beats that car when it comes to handling dynamics, though. 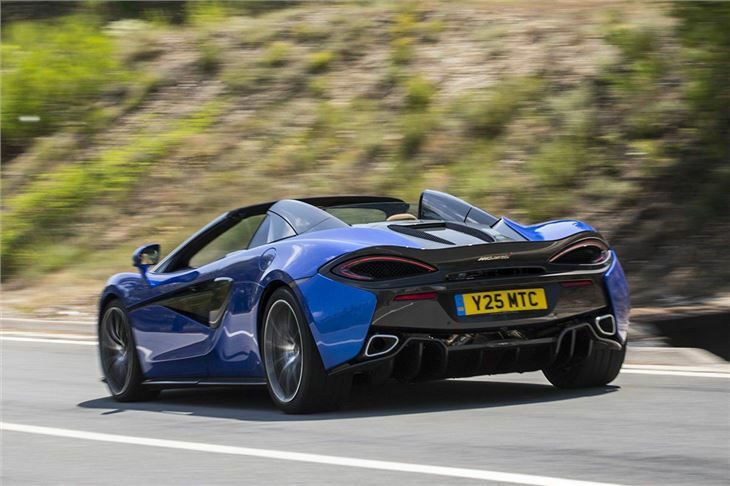 Even at normal, sensible speeds on the road, the McLaren feels poised, nimble and precise, with pin sharp steering and loads of feel through the excellent suspension, which is surprisingly compliant for such a high-performance car. And yet it’s no more difficult to drive than a hatchback – the pedals are light and the seven-speed automatic transmission is smooth.